To stay in tune with the latest Java technology updates, we are gladly announcing live support for the just-released Java EE 8 and Java SE 9 implementations. “Jelastic is a Java-native cloud platform committed to helping developers focus on their core competencies by reducing the amount of system administration work. Since our founding, we’ve been open to the needs of the Java community and do everything to be in tune with the latest technology updates by making new implementations instantly available within our platform,” says Ruslan Synytsky, Jelastic CEO and co-founder. 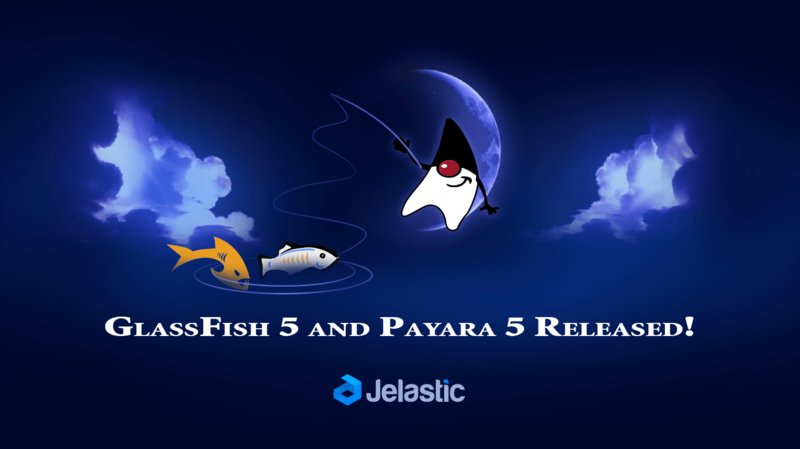 Jelastic customers can now easily install managed Docker containers with GlassFish 5 and Payara 5 to benefit from Java EE 8 latest improvements. New capabilities include Servlet 4.0 API with HTTP/2 support, enhanced JSON support including a new JSON binding API, a new REST Reactive Client API, asynchronous CDI Events, a new portable Security API, Server-Sent Events support (Client & Server-side) and many others. “Jelastic is providing Java EE 8 inside containers! That’s very exciting because it allows developers to experiment with new features of the latest Java EE version in an easy, secure and robust way for testing and scalable production environments. I’m sure developers, from novice to experts, will really enjoy these possibilities,” commented Bruno Souza, Java evangelist and founder of SouJava. Using Jelastic PaaS, developers can easily create and manage standalone or clustered GlassFish 5 and Payara 5 containers with built-in tools for easy deployment, automatic scaling, load balancing, traffic distribution and monitoring of the servers. “The Payara team are really excited about this announcement. With Jelastic support for GlassFish 5 and Payara Server 5 Alpha, developers can start building new applications using the exciting new features of JavaEE 8 now, knowing they can deploy them on a robust production platform from Jelastic.” – shares his thoughts Steve Millidge, Founder and Director of Payara. “Although it has repositioned itself to be more technology-agnostic these days, the roots of Jelastic are in Java. This deep commitment to the Java and Java EE communities is self evident in the fact that Jelastic is the first PaaS to offer support for both Java EE 8 and Java SE 9. In my mind there has never been any doubt that Jelastic should be one of the first destinations for Java developers on the Cloud,” says Reza Rahman, Senior Java Technologist at CapTech Ventures, Inc. and the chief Java EE Guardian.